The low-carbohydrate Paleo diet that is becoming increasingly popular as a way to lose weight may instead make you fat and even cause symptoms of pre-diabetes, according to new research. The finding, detailed in a paper in Nature journal Nutrition and Diabetes, has prompted a warning against fad diets which have little or no scientific evidence behind them. Diabetes researcher at the University of Melbourne’s Department of Medicine, based at the Austin Hospital, Associate Professor Sof Andrikopoulos, was interested to learn whether the Paleo diet could benefit patients with diabetes or pre-diabetes. His research group took two groups of overweight mice with pre-diabetes symptoms and put one group on a low-carbohydrate, high-fat (LCHF) diet similar to Paleo diets.The other group remained on their normal diet. The LCHF mice were switched from a three per cent fat diet to a 60 per cent fat diet while their carbohydrate intake was reduced to only 20 per cent. “The hypothesis was that the Paleo diet group would gain less weight and we would see improvements in glycemic control,” Associate Professor Andrikopoulos says. After eight weeks, the group on the LCHF diet gained more weight, their glucose intolerance worsened and their insulin levels rose. They gained 15 per cent of their body weight and their fat mass doubled from two per cent to almost four per cent. 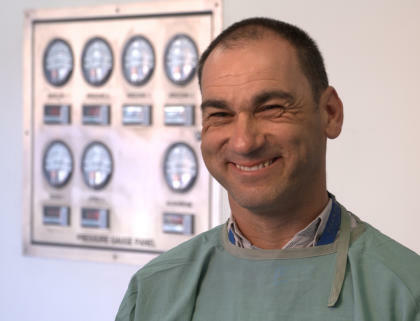 Associate Professor Andrikopoulos says he had been expecting some weight loss, but instead was completely surprised by the extent of the weight gains. 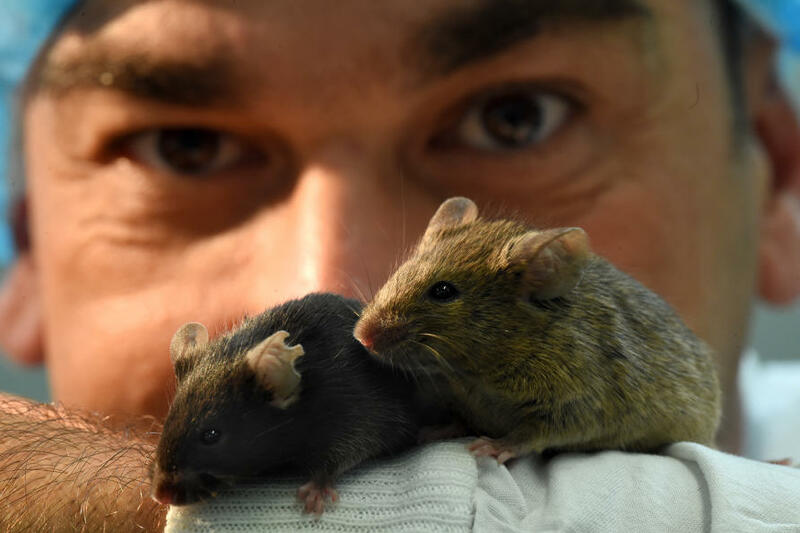 The researchers used mice for the study, because their genetic, biological and behavioural characteristics closely resemble those of humans. “In humans, this level of weight gain will increase blood pressure and the risk of anxiety and depression and may cause bone issues and arthritis,” Associate Professor Andrikopoulos says. “For someone who is already overweight, this diet would increase blood sugar and insulin levels and could actually pre-dispose that person to diabetes. Associate Professor Andrikopoulos tells how the study was conducted. “We are told to eat zero carbs and lots of fat on the Paleo diet. Our model tried to mimic that, but we didn’t see any improvements in weight or symptoms. In fact, they got worse. He says hype around these diets is driven by celebrity chefs, unrealistic before-and-after glossy magazine celebrity weight-loss stories, and rapid weight-loss reality TV shows. The result is more people turning to potentially dangerous fad diets for a quick fix. “These diets are becoming more popular because of the media and social media. Instead of scientific literature, we get endorsement from individuals who’ve lost 20 kilograms talking about it on social media,” he says. Every day, he says, people receive messages that increase the pressure to lose weight quickly. “There is a lot of stigma around being overweight. Every day we’re exposed to stories about a slim celebrity who ate three cabbage leaves a day to lose weight. “What people don’t understand is that looking good is a celebrity’s day job. They have someone to cook their food and another person telling them to exercise. The real world doesn’t work like that. There are no quick fixes. “When you think about it, celebrity advocates of these diets are often very active and can handle an increased fat load, rather than your average Australian who is a lot less active. He said the low-carbohydrate diet has been inspired by our hunter-gather past when we didn’t eat any processed foods, but what may be more relevant to losing weight is the fact we don’t do anywhere near the same amount of exercise we did then. Associate Professor Andrikopoulos says the Mediterranean diet is the best for people with pre-diabetes or diabetes.